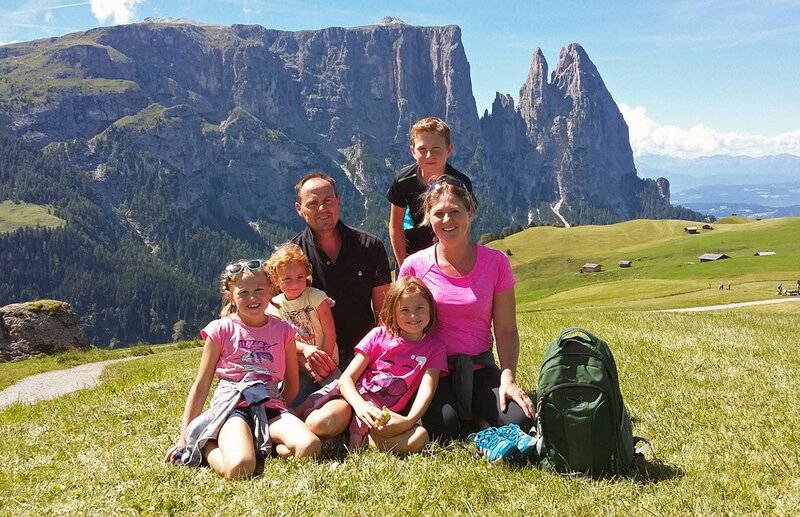 We, the Hofer family – Christoph, Marlene and our children Simon, the twins Jana and Marie, and Jasmin – would like to welcome you to your holiday on our farm, the Singerhof in St. Valentin near Kastelruth. Situated amidst the Seiser Alm holiday area, our farm in South Tyrol is easy to reach from north and south at any time and season. There are a lot of idyllic spots in our surroundings, the most beautiful and attractive of which is without a doubt St. Valentin. 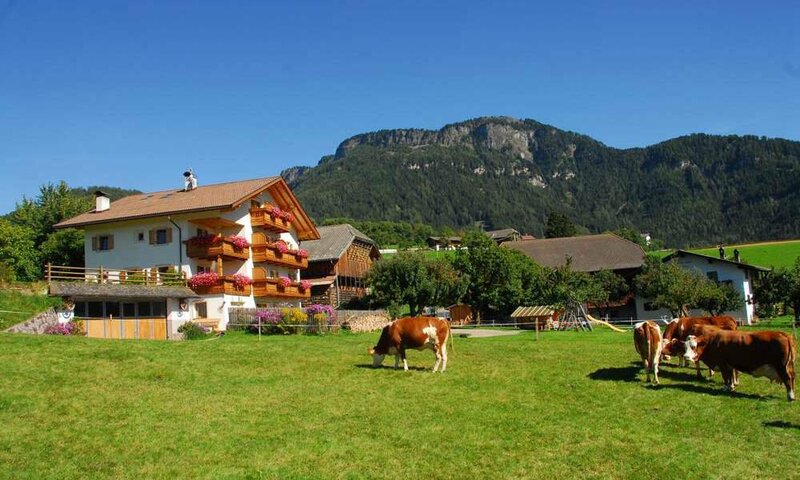 The Singerhof with its vast, lush meadows is situated on a magnificent sunny slope. From the Singerhof, located at a height of 1100 m, you will enjoy an overwhelming view of the surrounding mountain scenery. 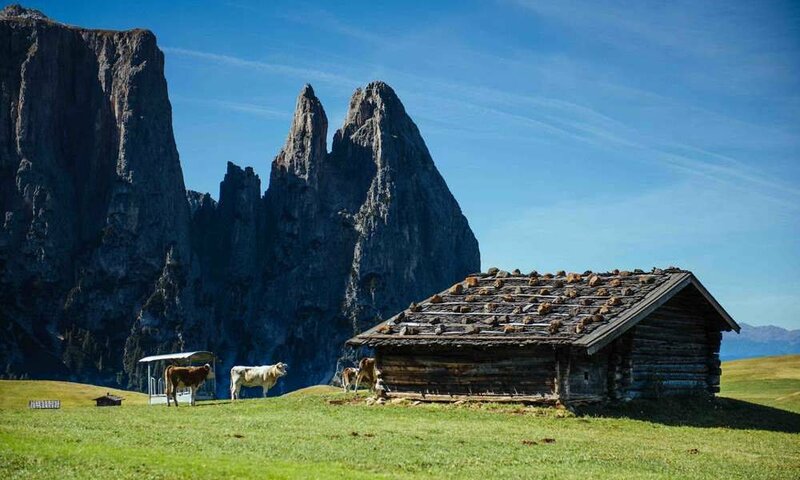 Right in front of our doorstep rises South Tyrol’s landmark, the famous Schlern Mountain. The beautiful little Church of St. Valentin rounds off the picturesque panorama and is popular with photographers. On the Singerhof the holiday of your dreams will finally come true! 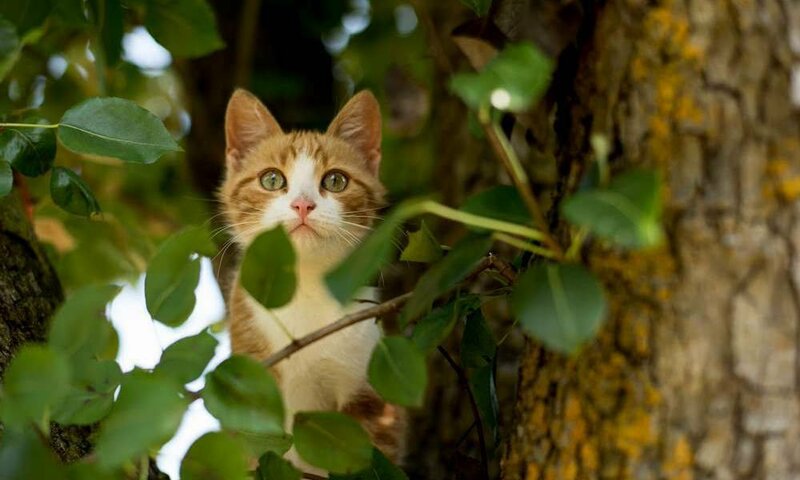 We are looking forward to relaxed and enjoyable chats with you. 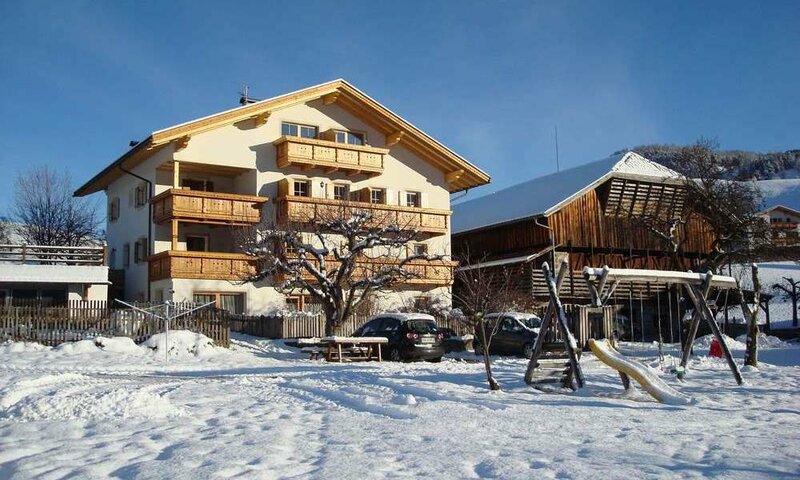 A farm holiday in St. Valentin near Kastelruth will do you good. You can relax on our vast sunbathing lawn and savour fresh products like milk, plain yoghurt, eggs and herbs from our farm garden. As we are a family business, we are always happy to welcome families with children. 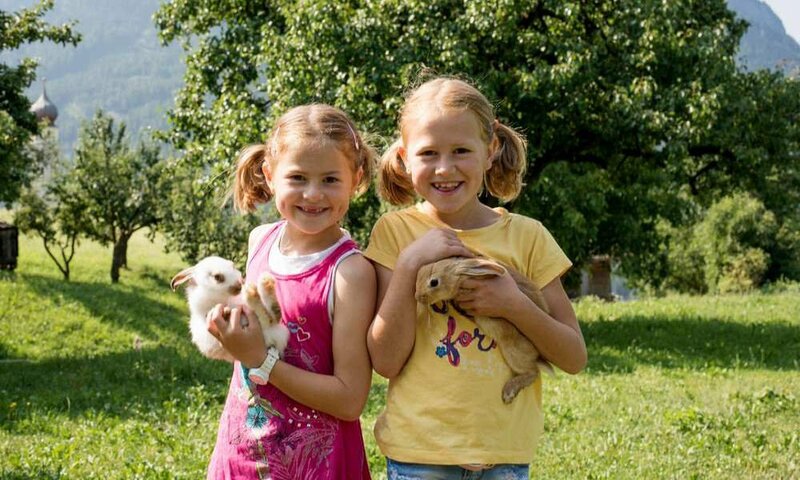 Your little ones are invited to meet our farm animals – cats, chickens, rabbits and cows – and to play with them. Our children are happy to show your children what life on a farm is like. They can even help with the work on our farm in South Tyrol, feed the chicken and milk the cows. While you are taking a well deserved break, your children can romp on our well equipped playground or play football on the vast meadow. In the evening you can enjoy the relaxed and pleasant atmosphere of our barbecue area. Our guests are welcome anytime, whether they are two people or groups of up to eight. 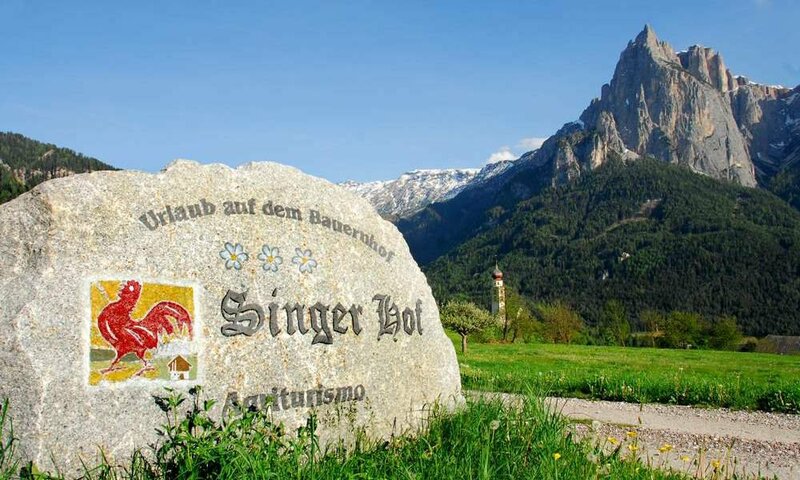 On the Singerhof in St. Valentin near Kastelruth you will spend your farm holiday in South Tyrol in a relaxed and cosy atmosphere. We offer you comfortable holiday apartments for two to eight people, where you can feel totally at ease. All apartments are beautifully furnished and equipped to a high standard, so that you lack nothing. To this effect the eat-in kitchen, the living room, the bedrooms and the bathrooms include bedclothes, towels and dishtowels and also plates, cutlery, pots and pans. All kitchens are equipped with a gas cooker, a toaster and a kettle, the two bigger apartments even with a microwave. Furthermore we deliver fresh bread rolls to your doorstep every morning for breakfast and offer a towel and laundry service. 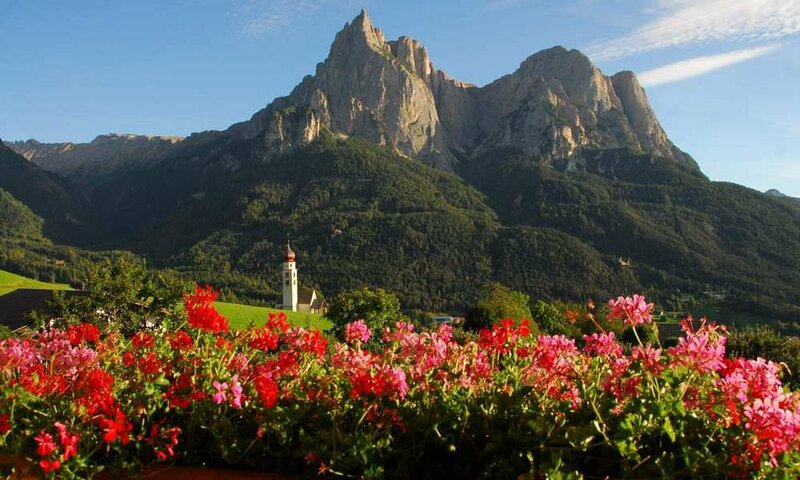 The absolute highlight of your farm holiday apartment in South Tyrol is nevertheless the balcony, where you can marvel every morning anew at the breathtaking view of the surrounding mountain scenery. 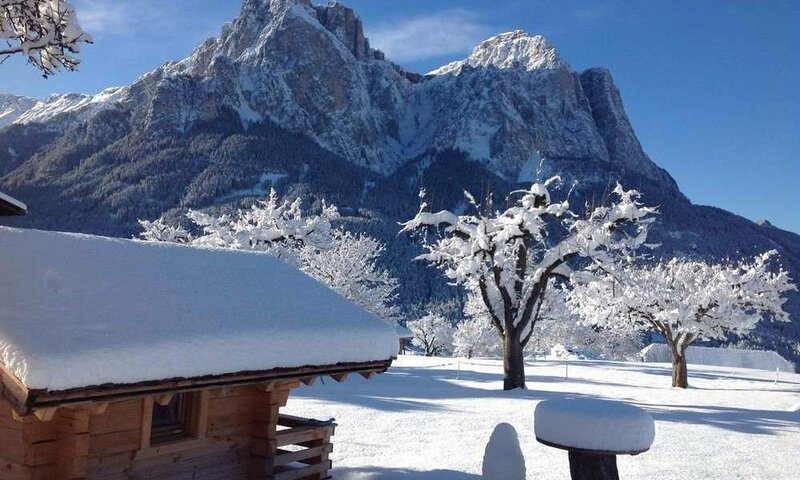 We are happy to welcome you to our farm in South Tyrol from January to December and are looking forward to your stay in St. Valentin near Kastelruth. In winter Kastelruth in South Tyrol offers an unparalleled snow paradise, where you can race down the slopes of the Seiser Alm. 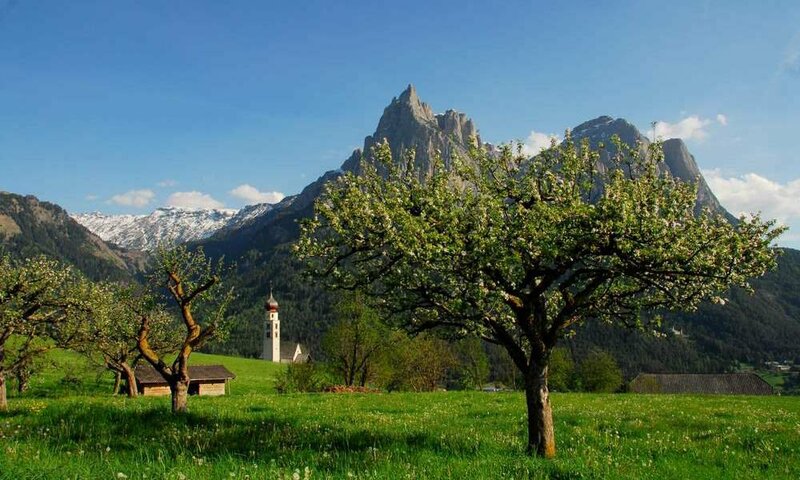 Our blossoming spring invites you to explore South Tyrol on one of the many hiking trails that start our farm. As an alternative to hiking you have manifold activities to choose from on your farm holiday, such as golf, mountain biking, Nordic walking or climbing. Or why not visit one of the many museums, castles and ruins the region has to offer and walk in knight Oswald von Wolkenstein’s footsteps. In summer (June) the alpine rose blossom will leave you enchanted, and when you need to cool down, you can dip into Lake Völser Weiher. If you are interested in regional customs and specialties, autumn offers you numerous opportunities to participate in the ceremonial driving down of cattle from the mountain pastures into the valley or the traditional Törggelen, when locals and visitors taste the new wine, together with chestnuts, speck and many other specialties. 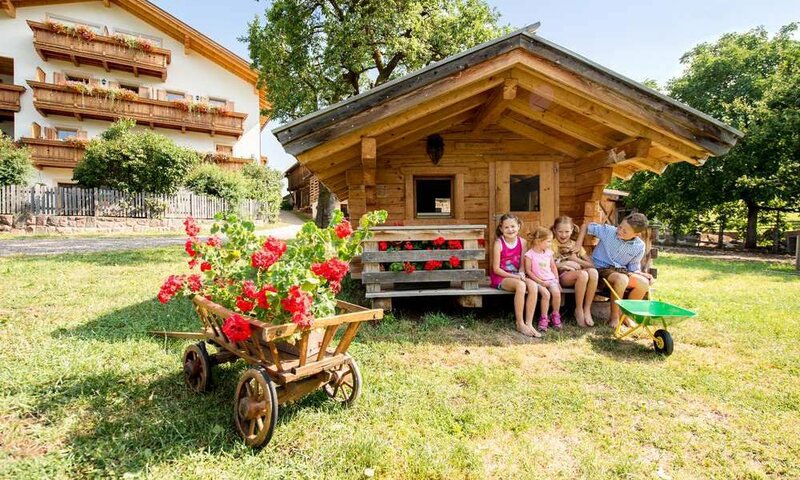 You will definitely remember your farm holiday in South Tyrol with fondness!